You know that we’re big on swimming at Little Otter! There are many benefits of the sport for swimmers of all ages; however, there are swimming can be distinctly beneficial to little ones. That is why we are really big on starting kid in swim lessons as early as possible. The benefits are so great that they really are good reasons to learn to swim. It is a proven fact (Griffith Institute study) that children who are swimming reach developmental milestones earlier than their non-swimming peers. These milestones are not something to ignore. They’re critical to the pathway of success as a child enters formal education because they include: physical milestones, visual-motor skills, mathematical skills, and oral expression. There is also a study that focuses on the link between swimming and academic performance. According to this study, children who participate in intensive physical activity (like swimming – especially competitive swimming) excel in academic development. In fact, when physical exercise is increased, the better the academic performance is. Physical activity (like swimming) is also linked to better mental health and positive attitudes. And swimming is an excellent self-confidence builder for children. Well, that’s only the first benefit! 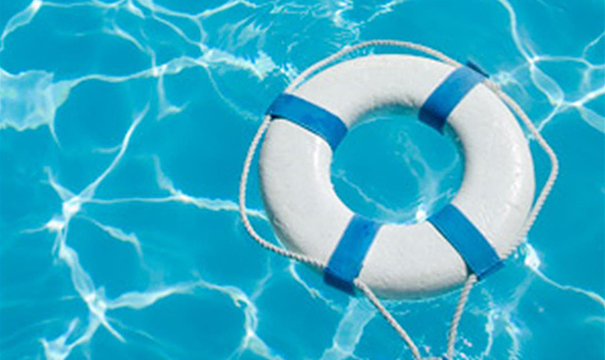 Children who swim basically have a little insurance against drowning. No one can completely eliminate the risk of drowning but knowing how to swim is the best prevention measure there is. This is a lifelong factor. Drowning is a risk to everyone – not just to children – so children who know how to swim will be safer than non-swimmers throughout their entire lives. So this means that almost ½ of all Americans are not safe in and around the water. 44% of all Americans can’t keep themselves from drowning. Teaching children to swim helps to improve this statistic! In fact risk of drowning is reduced by 88% for swimmers. Feeling safe in and around the water makes it possible for fun to happen – which is another benefit of swimming. It’s automatic entertainment for children (and adults) and that makes swimming a lifelong way to have fun. The Physical Activity Council says that participation in water sports (in the U.S.) has increased over the past few years – rising from 12.4% in 2011 to 13.8% in 2016. Water provides such a variety of fun activities that it’s easy to see how one can enjoy it for a lifetime. Because swimming opens up a whole new range of activities, it means that children and adults will come in contact with more people as they participate in water activities. Friendships are established and bonds are formed that produce amazing memories. There are parties on or beside the water, enjoying local pools and water parks, swimming on teams, and making swimming part of lifelong fitness. These are all things that bring people together in fun, enjoyable and healthy activities. Socialization through swimming and water-related activities is proved to produce positive well-being and confidence. When children experience this, it is a pivotal point in their lives. Cardiovascular health – Swimming burns calories at a rate comparable to running or cycling, and allows you to control the intensity of your exercise just as those other activities do. Full-body health – Swimming uses muscles of the arms, legs and core. Most activities use one or two of these muscle group, but not all three. Low-impact exercise – Swimming doesn’t produce high impact to any joints of the body like running and many team sports do. The low-impact nature of swimming makes it a great exercise for recovery from injuries or surgeries. Researchers have discovered that those who may have a link to the fountain of youth, as those who swim frequently have seen a delayed onset of the aging process by many years. Children can start early so getting on the path to becoming a swimmer is really easy. But learning to swim can happen at any age – even for adults. No one is ever too old to learn and starting to enjoy the benefits of swimming!